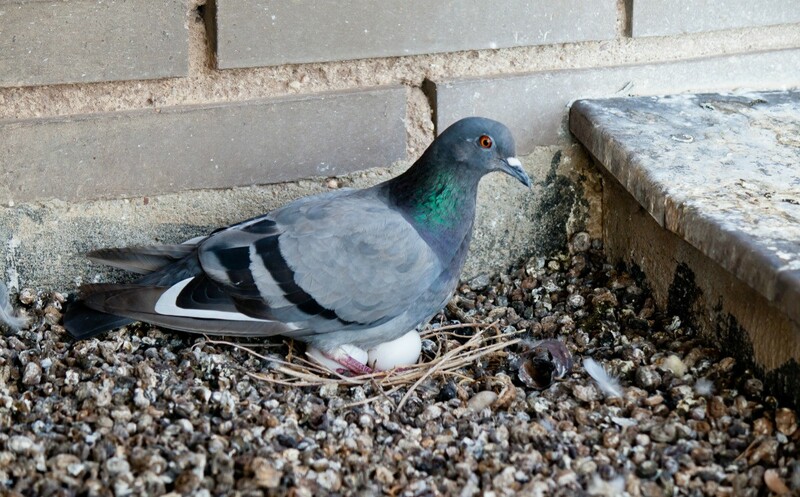 Sometimes birds will choose a nesting site that is dangerous for their eggs or simply in the wrong spot around your home. Some research can help to successfully move the nest and egg(s) and prevent similar nesting in the future. This guide offers some helpful suggestions for moving a pigeon egg. 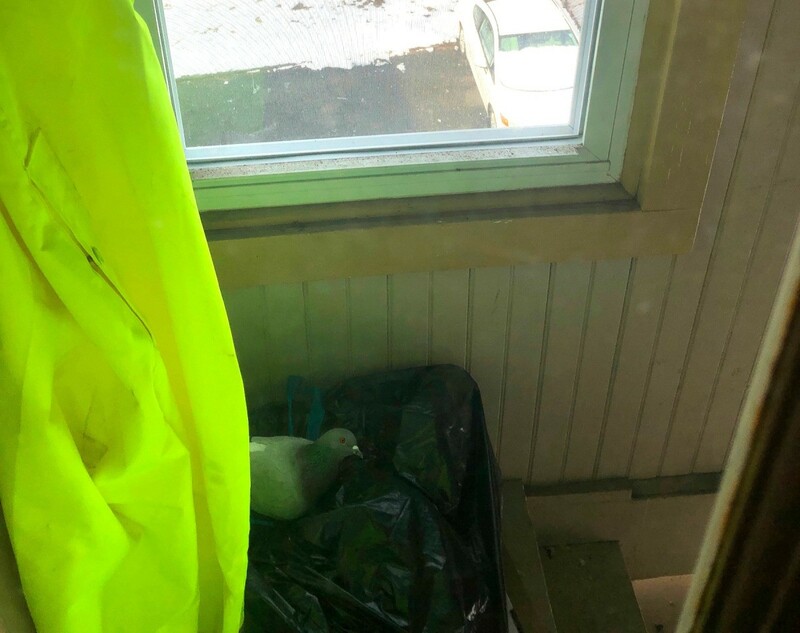 I live in a third floor apartment and the back door is a stairway that is covered from the elements, but open to animals. Last spring two pigeons laid two eggs and I was lucky enough to watch them grow and fledge the nest. When they left I had to paint the back steps after I scraped all the poop off, not fun. This year the two birds that were only eggs last year have returned to repeat the process. Ok so the issue! We use the back landing to put the trash out and when my husband or I leave for work we take it down. Well the pigeons have been there in this time frame and they have laid an egg. I don't know what to do? I can not leave the egg on a pile of trash because I just cleaned my fridge and the trash needs to go down! I was thinking of getting an old bucket and putting it on its side with some hay inside and gently moving the egg into there. Now I know they won't follow the egg, but my idea was if I put the bucket on the landing it would be in the same place in the hopes they won't abandon the egg. Any help or tips are greatly appreciated! To deter them going forward, you can try things like cat statues, hanging CDs, hanging a wind chimes or such...but if your bird population is like ours, when they find a good place to nest, it is a problem to break their habits. Perhaps the wildlife sanctuary can give you feedback on prevention too! I would remove the egg and disinfect the area. I would get an electronic noise maker that will repel the birds and make them seek another place.